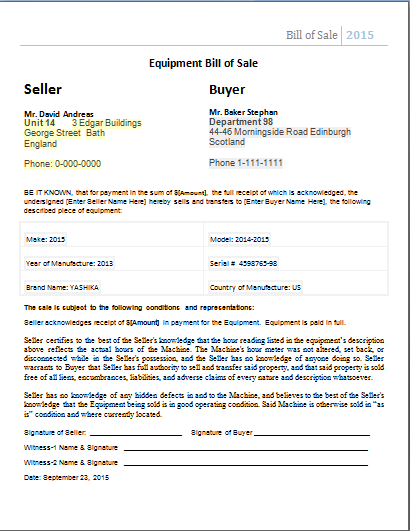 A document used in business entities especially in retailing and distribution which describes the prices and details of the items which are sold to a party is called a bill of sales. It is a very important and vital document that is used as a record of making the sale and is often used for accounting and auditing purposes in an organization. Every organization that is involved in the process of selling its products and services to clients have a form known as a bill of sale form. 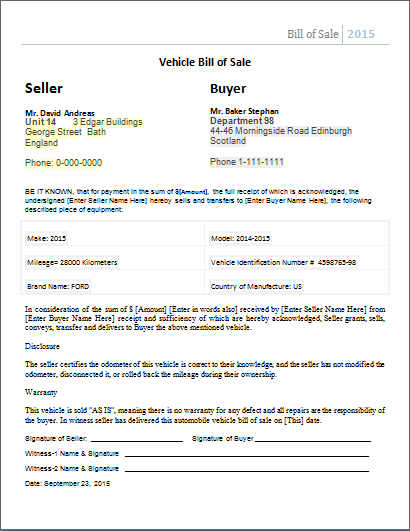 This is a pre-written document that is used to fill in the details of the sales to keep a record or receipt of the transaction. These are only a few general terms and fields that are mentioned in a bill of sale form. It can vary according to the needs and requirements of the organization and user.